Frequently we ask each other about medications our doctors want us to try. It is a normal reaction to desire the input from our other challenged friends. As a nurse and patient advocate, I have a few words to say about this. First, no two of us are exactly alike. Though many of us have the same comorbid conditions, IBS, IC, irritable bladder, chronic sinusitis, Raynaud’s, migraine, symptoms compatible with chronic myofascial pain (CMP), hypothyroidism or Hashimoto’s, insomnia, allergy, malaise, SICCA symptoms (dry mucous membranes usually due to an autoimmune process), anxiety and depression, cold intolerance, leaky gut syndrome, small intestine bacterial overgrowth (SIBO), restless leg syndrome, multiple chemical sensitivities, bruxism (teeth grinding), symptoms of autonomic effects, neutrally mediated hypotension (NMH), postural orthostatic hypotension (POTS), jaw pain, chills and night sweats, and many more that cross over between FM, ME/CFS, and CMP, each requires their own different medication or treatment. And, we may have other co-existing conditions to boot. “Chronic Myofascial Pain (CMP) = a chronic disease causing sensory, motor, and autonomic symptoms that are affected by nerve to muscle chemicals where the nerve endplate meets muscle. It is a chronic disorder in which myofascial trigger points (TrPs) develop in muscles that are overstressed, overused, or injured, and they can be reactivated by a chill or other stressor. Different from isolated occurrences of TrPs in normal individuals; CMP develops when TrPs are apparent in several quadrants of the body and have become chronic. Co-existing conditions, conditions or diseases that occur coincidentally with another, but not at any greater rate with FM or ME/CFS, also require medications for treatment that might interfere with or enhance our other meds. Though they are not considered comorbid conditions the can co-exist. These diseases might include Lupus, Lyme’s, Multiple sclerosis (MS), Gulf War Syndrome, chronic yeast, Complex Regional Pain Syndrome (also called Reflex Sympathetic Dystrophy Syndrome), osteoarthritis, high cholesterol (statin drugs), rheumatoid arthritis, degenerative disc disease, hypothyroidism, thyroid resistance, insulin resistance, hypoglycemia, reactive hypoglycemia or any metabolic condition, and many more which are explained and defined in our book. I believe you will be extremely interested in the links provided at the end of this article, and I hope you will read to the very end and look at each one. They are some of the tools you need to be as safe with your medications, including over-the-counter (OTC) and herbs and supplements. All of these conditions can be present in FM and ME/CFS, but vary between patients; meaning medications to treat one condition might interact with medications to treat another. The more medications you need to control comorbid and coexisting conditions, the greater the risk for interaction. Physicians have little time to spend with you before handing you a script or sample and sending you on your way. The insert to your medication, which you may or may not get with your samples, will say certain medications require close monitoring when given together. As an example, many FM, ME/CFS, or CMP patients have migraine as a comorbid condition, yet the SSRI and SNRI antidepressants used in treatment come with warnings regarding the concomitant use with certain drugs to treat migraine. Serious life threatening results can occur and it is doubtful your doctor will be able to monitor you close enough until they get a report on your emergency room visit or hospitalization. Now, if you don’t have comorbid or coexisting conditions, and your only medication is that to treat FM, ME/CFS, or CMP then you are not at a great risk, however, part of having FM or ME/CFS is the relationship of so many other conditions. Another example is the use of calcium citrate to combat osteopenia (precursor to osteoporosis). 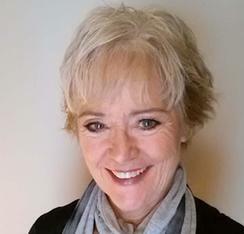 If you have hypothyroidism you should not take calcium within 4-6 hours of your thyroid hormone replacement, and most of the statin drugs used to treat high cholesterol tell you not to eat or drink grapefruit, but let’s face it, when samples are given or you are instructed to take something OTC, you don’t get this information. The pharmacist is also overworked and generally not in the mood to do one on one education on your complete medication profile on demand. Though they will give you information on a new medication, you need a complete review of your medication profile when a new med or supplement is added. Take a complete medication list with you. Laws regarding the responsibility of the pharmacist to protect us from medication interactions are in place. You might ask that they review your file and the data base at their disposal then set up a later consultation time, or follow up phone call. This will give them time to give you the attention you need. Medications such as Lexapro, an SSRI used to treat primary FM, can exacerbate or cause bruxism. Medications used to treat arthritis conditions can cause a great deal of GI distress, if you have one of the many gastrointestinal conditions that seem to occur with FM, the drug you are using to treat your co-existing condition can make it worse, or could cause a life threatening bleed. Other medications used to treat conditions related to ME/CFS: Immune globulin may interfere with vaccinations, interferon, antivirals such as acyclovir, and now Ampligen all come with some significant warnings. This doesn’t mean the benefit doesn’t outweigh the risk, only that you need to be aware of what might happen so you can make your own educated choices. Medications used to improve cognition and improve sleep, come with a host of interactions with other medications. As an example, a drug being used to help with cognition used to treat Alzheimer’s, galantamine, and the drug Methylphenidate to treat ADHD interfere with many of the other medications used to treat our conditions. The classes of medications used to help us sleep, relax muscles, treat headache, allergies, or the many other conditions we endure come with long lists of interactions too. These are just a few examples, but all of these things have to be weighed on a benefit/risk analysis. The days of your physician being able to help you with that or even discuss the possibility are long gone unless you speak up. We must become proactive in our own healthcare. Know what you are putting into your body, what it is for, and interactions with other medications or other conditions you may have. I always tell my husband when starting a new medication, and here is why. I was put on a widely used medication to treat primary FM. Disordered sleep and insomnia are part of my everyday life. However, I went 5 days with no sleep. I was agitated, paranoid, delusional, severely depressed, could not walk, put two thoughts together or form a complete sentence. It was my husband that was able to make the connection with the new medication, because I didn’t have enough active brain cells to connect the dots. What happened is called a paradoxical reaction. That class of medications is now on my allergy list. I have also had to visit the ER because of other new medication reactions. We do experience unusual sensitivities; it is part of FM and ME/CFS. I was an ER nurse for 20 years, so I understand that when physicians see certain medications listed as allergies, a red flag goes up. Well, I am here to tell you that I really don’t care what they think. What is important to me is that you and I live the best life we can live under the circumstances. Here is a little story for you. I was once forced to give a patient a drug in the class of non steroidal anti-inflammatory, when she had ibuprofen listed as an allergy. Believing what I always told my students, the patient knows more about their body than anybody, if they question you, you question you, I had epinephrine at the bedside. She immediately went into anaphylactic shock and lost consciousness. Following our standing protocol (I didn’t need the doctor’s permission), I gave it. Believe me these things do happen. Throw a fit if need be. If you have a concern, check it out on sites that are reputable, document your symptoms, print out supporting material and take it to your doctor. Fibromyalgia, ME/CFS and CMP are complicated, your physicians needs to be working for you and with you. Let him/her explain to you why the benefits may outweigh the risks in your case. If he/she cannot do that ask who can and get a referral. If your physician seems disinterested, find a new doctor. Always make sure your pharmacist or every pharmacist (I understand these days people must shop for the best price) has a complete list of all your medications, including samples and over the counter medications (acetaminophen, widely known as Tylenol, is in many medications and there is a potential for overdose and severe liver damage). Over the counter medications, supplements, and even creams may contain chemicals that can be absorbed and increase blood levels of your medications. An example given to me was a cream with St. John’s Wort, which can alter/elevate serotonin levels. There is a reaction called serotonin syndrome, which is life threatening crisis. So if you take a medication such as an SSRI or combination SSRI/SNRI, you could be at risk. There is a form for medication lists and tracking benefits/non-benefits of all therapies in our book. Not all drugs should be abruptly discontinued, particularly those in the class of antidepressant or antiseizure, which are approved for use in the U.S. for FM and are being used in ME/CFS. Please consult with your physician and/or pharmacist before discontinuing any of your medications. Please Be Safe, take charge of your health care; it could save your life. Check drugs you are taking for interactions with each other, including over the counter drugs or herbals and vitamins. 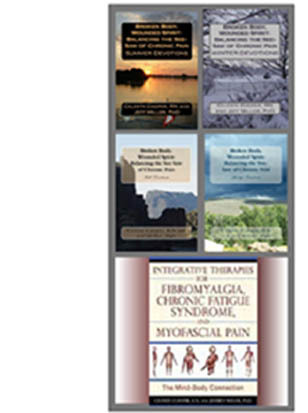 Integrative Therapies for Fibromyalgia, Chronic Fatigue Syndrome and Myofascial Pain by Celeste Cooper, RN and Jeff Miller, PhD. Healing Arts Press: Vermont, 2010. Specialists recognize more than 150 rheumatic diseases that generate different symptoms, so your doctor can use x-rays and studies to confirm the diagnosis, such as an analysis of fluid extracted from the joints (synovial fluid) or examine a sample of tissue under the microscope. • Not time control rheumatic conditions, they can damage the bones, ligaments and tendons of the affected area. . Vicodin is a kind of drug which is used for relieving moderate to severe arthritis pain. It is made up of two kinds of drugs namely acetaminophen and hydrocodone. This drug has a major advantage that even small doses of it can give relief from the pain. So many doctors prescribe this drug for pain relief. However this advantage sometimes leads to its prescription abuse and hence leads to addiction of this drug. Good point. Many narcotic pain meds also contain tylenol. One should inspect and OTC drugs for the ingredient if they are on drugs such as you suggest for treaatment of pain. I propose that the research shows those on opiods for treatment of chronic pain are no more at risk for addiction than the general public, which is 1 in 7-10 depending upon the study you read. Tolerance or pseudo-addiction is not the same as addiction that indicates a person is using the medication for something other than prescribed. I might also add that tolerance occurs with many medications, not just opiods, and stopping some classes of drugs abruptly are good examples of this. I was diagnosed with hypothyroidism four years ago and suffered from about 50% of the symptoms you have listed. After making some routine changes I can report that I am taking bovine capsules and my symptoms are all but gone. present here at this blog, thanks admin of this web site..